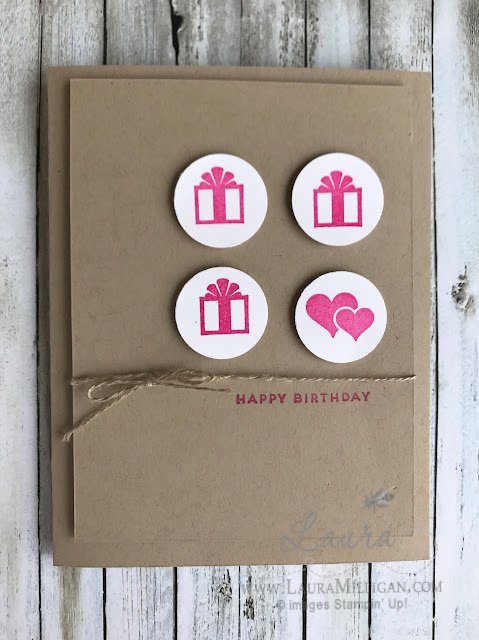 There is a super cute stamp set offered just for hosts, in the front of the Occasions Catalog, called Iconic Occasions. I used this set to create a few cards, which I am sharing in today's post. 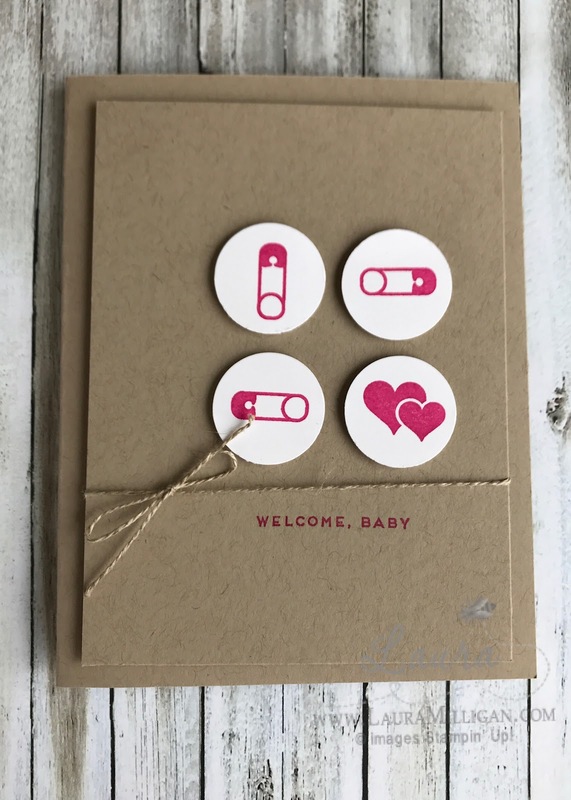 I started out by creating a Baby card - this card is pretty simple - I used crumb cake card stock, and Melon Mambo ink, a bit of linen thread and that is about it! After I created this card, I took a closer look at the Iconic Occasions stamp set and realized I could create a lot of cards, using this same layout and with the same colors - so I did! 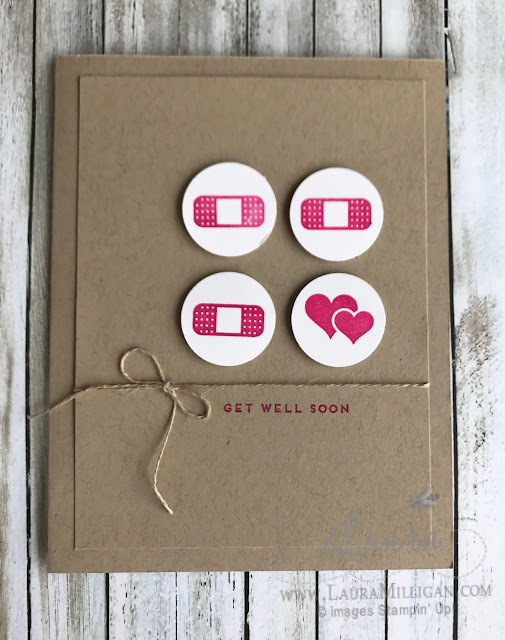 Here's a Get Well card - love the little bandaid! These cards would be perfect for a little set of All Occasion cards to give to someone! 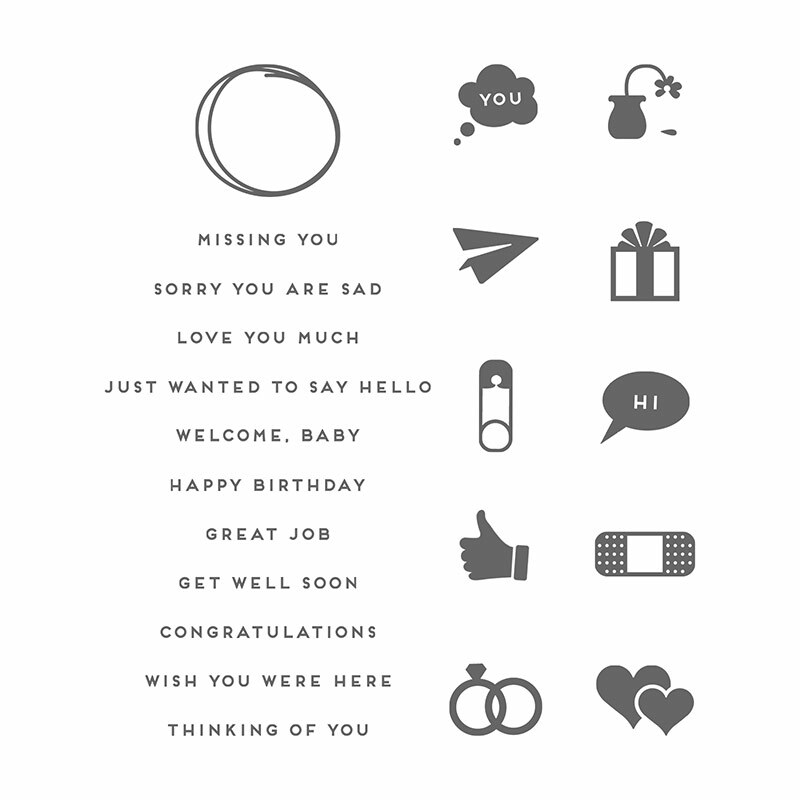 I didn't use all of the images, or greetings in the stamp set - you could easily create more!!! As I said, this is only available for hosts - or anyone placing an order of $150 or more. Saleabration is a GREAT time to host a party - or be your own host, if you have a huge wish list! Not only would you receive hostess benefits, but you would also get to select a Saleabration product for every $50 you spend! Thanks for stopping by today! If you don't have a demonstrator, I would be happy to serve as yours! Contact me by email if you don't have a copy of our current catalogs, and I will put them in the mail for you! Laura - All such fab CAS cards! 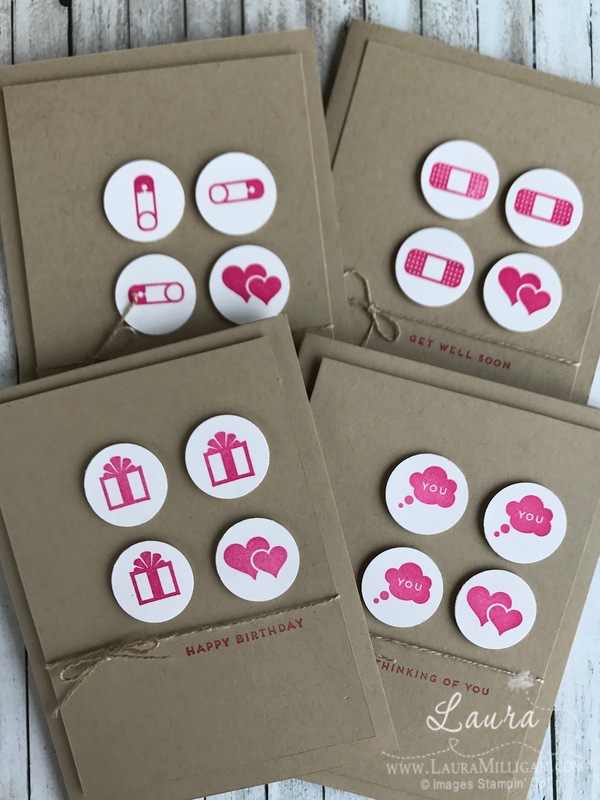 Thank you for these perfect & quick cards. I always love crumb cake! Thank you, Barb! Crumb cake is one of my favorites, too!